For a purveyor of words, nothing rings like publication. It’s a sort of affirmation that what we’re doing is pertinent enough for someone to read and maybe even give up hard-earned dollars for the privilege. The world is a hard place to live and no one gets out of it alive. Between these pages, fiction stories and poems speak the truth of grief, pain, sin, and horror. Yet, despite that truth, the authors herein show us the blessing of hope. All we need do is let God take control. 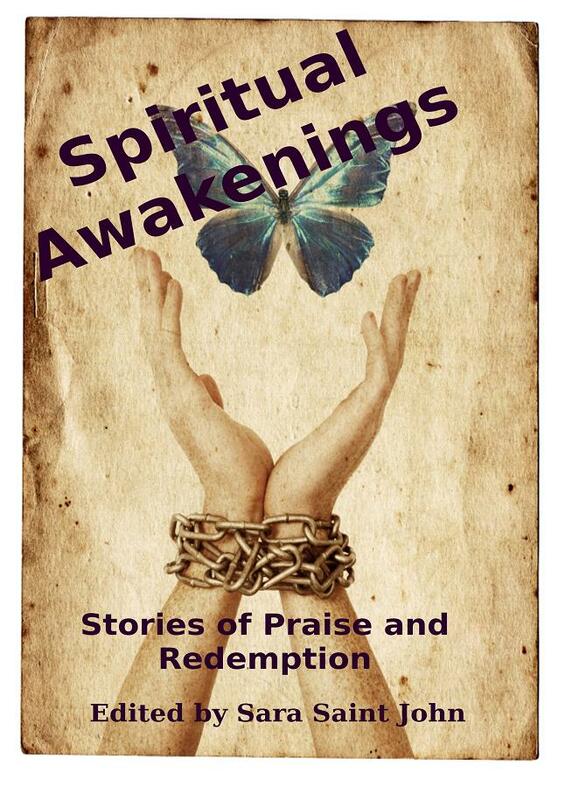 Spiritual Awakenings was released in paperback May 10, 2013! This will be available as an e-book on Amazon beginning June 3, 2013. My contribution to the anthology is a story called “Sister Jenny’s God.” It’s a fictionalized account of a true story my grandmother told of a woman miraculously healed of rabies, back when Oklahoma was still called Indian Territory. Tom grinned at her, then lowered his eyes and shook his head. The screen door banged as Jenny clomped into the house. Tom waited in the dusty yard. Get your copy from Amazon HERE. Or eBook for Kindle reader HERE. This entry was posted in Uncategorized and tagged anthology, books for sale, Indian Territory, inspirational stories, miracles, published book, rabid wolf, rabies, supernatural healing. Bookmark the permalink. Congratulations, well deserved.. Good feeling, isn’t it? Well…yes, it is. Will feel even better when I have a paperback book in my hands. 😀 Thanks! I will be lookin for it to order. Yay! Thrilling news! I’ve enjoyed your writing for 30 years now, and am so excited that many more people will also enjoy that blessing! ! Very proud of you, and praising our faithful God! Thirty years!!! No way; I’m not that old. 😉 Thanks, Becky. I’m so glad for you!! Can’t wait to get it! Thanks a bunch! I’ll be sure to post the info here when I have it. Congratulations JANET – a very excellent introduction to our inputs to the new anthology “SPIRITUAL AWAKENINGS”. Looking forward to reading the book very soon by God’s grace, AMEN!!! Remain blessed and beautiful sharing God’s Christian love through your writings. Thanks for commenting, Daniele. I’ve read a few lines of your story, Lighthouse the Giant, and can’t wait to get back to it. Great writers, all. I think our book will amaze us…because God is in it.